Thanks to Bradley Scanes, Specialist Musculoskeletal Physiotherapist, for putting this piece together. You can read part #1 busting back pain myths here. 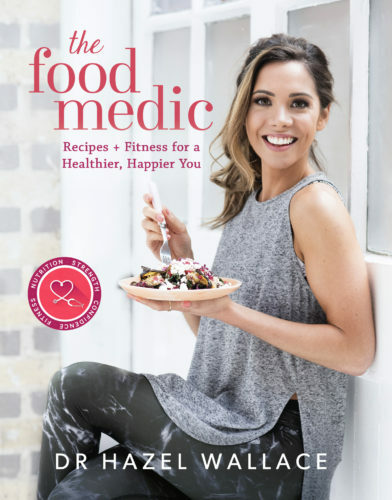 Bradley has also written about lower back pain and posture here on The Food Medic. The acute pain is gone. But you are still not back to normal activities. You still can not complete your hobbies, or are struggling with work. You still have a niggling pain which goes through good and bad days. This is a common situation for a lot of people. Almost everyone will have low back pain at some point in their lives (1) so you are not alone. And often it is just not knowing what to do to improve these symptoms that is the issue. For those that know me, follow my instagram or twitter will know I talk a lot about tissue capacity and tolerance, and this article will aim to focus on this and hopefully provide some insight as to how to step out of this pain state. So what is tissue capacity. For me, this is the ability of your body; joints, discs, ligaments, tendons, muscles to be able to complete the task that you are asking of it. Whether that be to walk 20 minutes to the shops, pick up 20kg weight or do some gardening. If the capacity required for the task exceeds the capacity of our tissue, then we will be at risk of pain and discomfort. 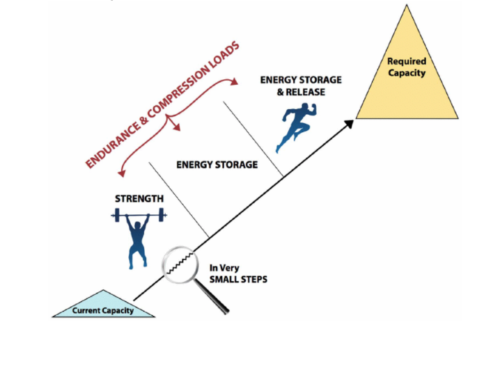 Scott Dye’s seminal paper back in 2005 describes this really well when talking about an envelope of function and where we have a manageable level of load, but this manageable level of load reduces with injury. See the diagram below. Excessive load on tissues will result in a reactive response that commonly includes pain. These two pictures from top physiotherapist Tom Goom, The Running Physio , demonstrate this superbly. They demonstrate that to help our symptoms we can either reduce what we do, or we can increase our capacity. How does this relate to back pain? When we have pain, or injury, we get atrophy of the muscular structures; they get weaker. For example, when we have low back pain there is a reduction in activation of the gluteus maximus muscle (2). The gluts being a main support structure to shock absorb for the low back. Which means to return to our normal activities we have to strengthen the tissue back to what we were before….and potentially beyond if what we want to achieve was beyond our capacity in the first place. When considering the purely physical nature of low back pain, once we have moved out of the acute stage, pain has settled and movement has returned, we need to strength train to be able to return to our normal activities and be able to reduce the risk of recurrences. To do this, here are my go to mid stage low back pain rehab exercises below, along with my go to reps and sets for what I find works best. However, everyone is individual and this may not work for all, feel free to get in touch if you have any concerns or questions. The body responds positively to stress, it is just about finding that right load to stress it. That considers the purely physical component and a big part of why I find people that seek my help haven’t return to full fitness. Mainly because they have rested, got better but not fully, and have not bridged the gap between pain and return to fitness. The rehab gap. There are many other considerations as well though, as we know from the last article. Excessive load is what causes the reactive response. We have discussed the physical component which is the main topic of this article, but load equals everything! Work, training, hobbies, stress, day to day life. Another top physio and friend, Greg Lehman explains this side of it really well. Firstly with the graph below. Secondly, by way of pain as an overflowing cup. Many things contribute to pain and you can have a lot of things in that cup; physical, mechanical, emotional and social stresses, and then at some point a sudden increase in one of those stresses puts you over the edge, the cup spills and you now have pain. 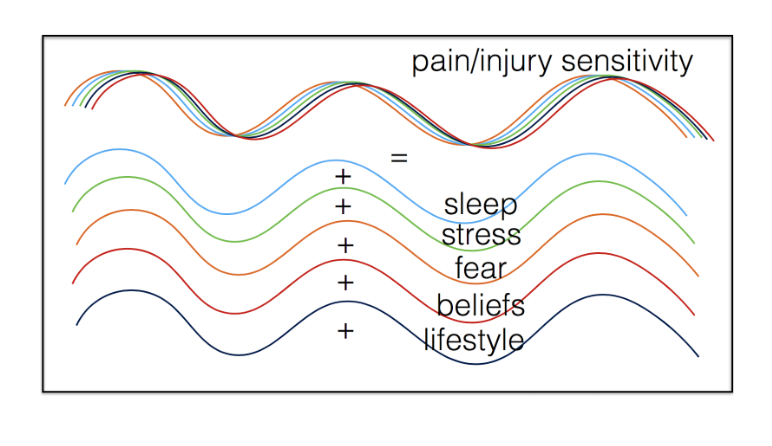 This is very normal, football players are more likely togged injured when they have social stresses, dancers are more likely to get injured when they have had poor sleep. One common misconception that both people suffering pain, but also health care professionals get, is when we start to talk about social and emotional stresses there is an indication that pain in all in your head….it is not. But it can amplify things. This topic deserve a whole article on its own and we will come to that with the next one. 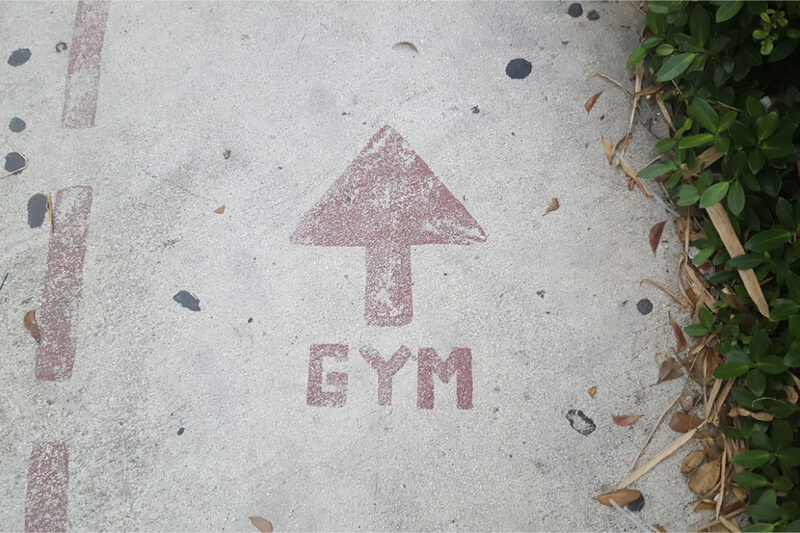 For now, hit the strength work and increase your capacity to do the things you want to do. 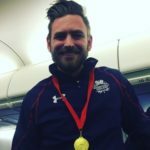 Brad is a Specialist Musculoskeletal Physiotherapist working privately in London and Essex and with Basketball England, GB Basketball and Deng Camp set ups. 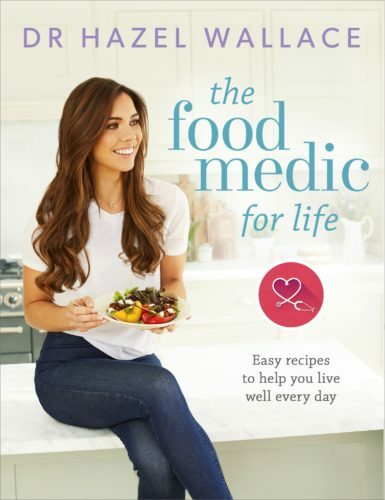 He has previously been a Clinical Lead in the NHS, lectured at the University of Essex and Physiotherapist for Professional Football side Southend United. He is passionate about applying sound and robust rehabilitation principles to pain and injury to help people say fit and healthy.